Another Wizard World Chicago exclusive where we get to talk to the villain that you love to hate, but is now becoming the hero you hate to love (or love to love in some cases). Michael Rooker talks to us about The Walking Dead, Guardians of the Galaxy, and more! Jon Espino: I don’t think anyone in Hollywood can play a villain like you can. You’re basically everyone’s go-to bad guy because you can pull it of fairly effortlessly. How true is that for you in real like? 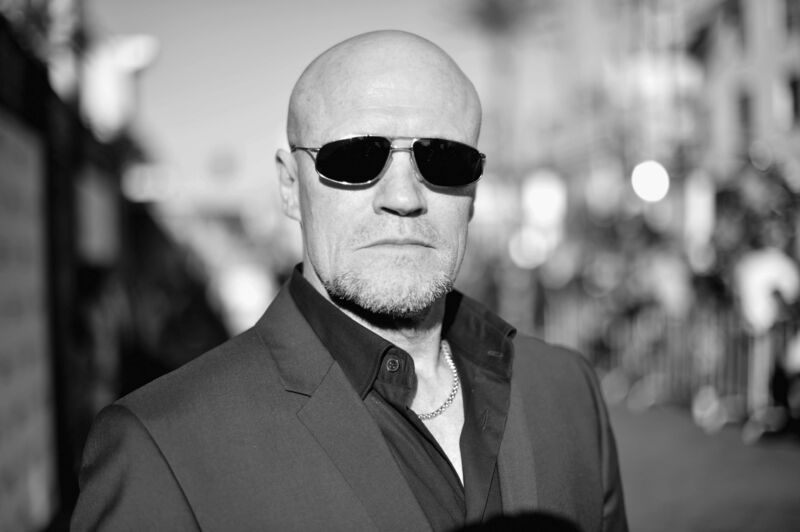 Michael Rooker: Well, I think I’m both when I have to be. I can be a hardass when I really need to be. Honestly, I just like to have a good time. JE: You look like you had a good time with Guardians of the Galaxy with your character Yondu. We already know there is a sequel in the works. Will we be seeing more of Yondu this time around? MR: Well, lucky for you, there will be some Yondu in the sequel for sure. MR: I’m glad you realized that Yondu was a hero. Not many people realize that. JE: Oh, he is definitely the hero of the film. If it wasn’t for him and his Ravagers, Ronan would have killed everyone, including the Guardians. Sure, he’s a little morally gray when he is financially motivated, but ultimately he leans toward the side of good. MR: You’re damn right he saved the day. Also, you want to know my role in the sequel? Well that makes two of us because I have no idea. [laughter] All I know is that I am going to be in the film and that’s good enough for me. JE: Well I have a role you can tell me about, mainly because your character is dead: Merle Dixon from The Walking Dead. Your character has been dead for a couple seasons now, but he’s still as popular as ever in these conventions. What was it about Merle that fans identified with? MR: He was a badass! He was kind of forced to be a hardass, too, by everything that was going on around him. He was also very human and relatable in that way. JE: In the end, he was given a redemptive end. Do you think the way Merle went off the show did the character justice? MR: I do. He got a better ending than I thought he would. In the end, they ended up showing more of a softer side to him, and how much he really did care for his brother. I think it was a side of him that most viewers needed to see. Everyone loves a redemption story. JE: Your characters have gone from being pure evil and villainous, like Henry: The Portrait of a Serial Killer, to now becoming more complex and leaning towards heroic, like Merle and Yondu. I guess what I’m trying to say is, are you going soft on us? MR: [stern faced] Do I look like I’ve gone soft? JE: [slightly scared] No. No you do not. At his panel, he regaled us about stories from the different sets he was on and other hilarious anecdotes. Did you miss it? Should have gone to Wizard World. At least now you’ll know for next time. Also, keep an eye out for him in the Guardians of the Galaxy sequel in 2017. Not soon enough, if you ask me. Previous ArticleLet's Dish: Young & Hungry (2x12) "Young & Back to Normal"